Today we added over 15,000+ new dropship products from 2 new good drop ship suppliers. At wholesale2b we add new products from new dropship suppliers on a regular basis. You will always have access to our entire catalog of dropship products with any of our dropship plans. 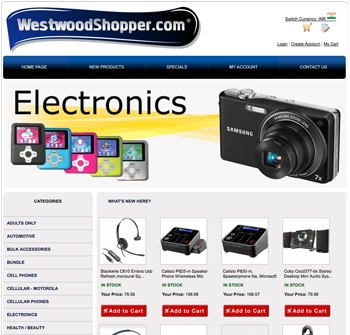 This supplier provides drop shipping for Non-Lethal Self Defense Products, Hidden Cameras, and Surveillance Equipment. This drop shipper provides drop shipping on Distinctive gifts and collectibles for the fans of the major sport teams. Including products for College sports, Soccer, Nascar, MLB, NBA, NFL, NHL and PBR. 3. Activate a dropship plan and start selling! It’s very easy to get started with your dropship business using wholesale2 services. We provide everything you need, from eBay and Amazon listing tools, to turnkey websites loaded with products to custom data feeds ready to be imported in your favorite shopping cart such as shopify, bigcommerce, zencart, yahoo store, and many more. Today we added a new supplier of hand made jewellery called Calicojunodesigns. Calicojunodesigns offers over 2,925 hand made jewellery from a studio in New York. Many of their jewellery can be made using various stones of your choice and you can also choose to use either GOLD or SILVER. The very good thing about hand made products is that they never run out of stock! To view their products, login to your wholesale2b account and click on the left menu USA SUPPLIERS and locate this new supplier on the page. Then click on the far right icon to browse their products. We hope you enjoy these new products. Today we added a new dropship supplier named CatalogDog. Catalogdog is a leading pet products distribution company delivering high-end treats, toys, equipment, and services to it’s clients. To view their products, login to your wholesale2b account and click on the left menu USA SUPPLIERS and locate this new supplier on the page. Then click on the far right icon next to this supplier to browse their products. Today we added a new dropship supplier named Azuregreen.net. This supplier was founded in 1986 and has grown into one of the largest online and mail order for new age products, and occult related items ranging from spell kits, ritual supplies, jewelry, books on Wicca, herbs, and much more. There is no need to pre-purchase any of these products. Simply order them from your wholesale2b account once you have sold them, and we will help you process the order with the supplier for shipment directly to your customers on your behalf. Sell them on eBay, Amazon, or from your own website! 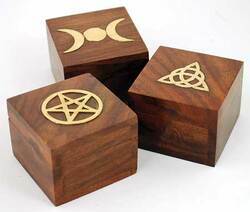 Largest selection Of Wiccan, Pagan, Occult supplies, and New Age stores in the world! Including spell kits, ritual supplies, bulk herbs and books on Wicca, Norse traditions, Santeria, and much more! To view their products just login to your wholesale2b.com account and click on the left menu USA SUPPLIERS and locate the new supplier Azuregreen on our list of 90+ suppliers. Today we added a new supplier called MonkeyBar Storage. This supplier provides solutions for organizing the mess in your garage. From racks for all kind for gardening tools and bikes to easy to install shelves and more. The majority of people have a messy garage and are in need for affordable solutions to organize their mess. MonkeyBar Solutions can help solve this problem. Start selling these products on eBay, Amazon or from your own website and help people organize their storage. There is no need to pre-purchase any of these products. Simply order them from your wholesale2b account once you have sold one of these items, and the supplier will ship it directly to your buyer on your behalf. 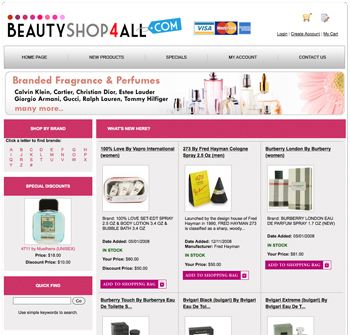 Currently we have a total of 1,570,750 dropship products with over 150+ main categories of products. Today we added a whole list of new whimsical watches from a new dropship supplier. This supplier started making custom whimsical watches over 20 years ago as a hobby and have grown their business significantly over the years. Today their watches are sold in hundreds of retail stores and they are now also available in our dropship portal at wholesale2b. These watches are very unique and make for a great gift idea. There are many different themes of watches so they are the perfect gift for any occasion. These watches are hand-painted and assembled in the USA made with miniature charms showcasing a variety of different themes. To view these products login to your wholeslae2b account and click on the left menu USA SUPPLIERS. Then located the Whimsical Watch supplier to browse over 1,200 unique watches. Today we added new products from a new dropship supplier of women lingerie products. The supplier is Gworld Collections. G World Intimates is a high end quality brand that is sold by more than 3,000 retailers across the United States and worldwide. This collection of products will make a great addition to your business if you are focusing on the lingerie niche market. These products come with high end resolution images that comply with eBay image sizing policy so you won’t have any problems selling these products on eBay. We also have TWO images per item to clearly show the view from front and back of each product. To view all the products from this new supplier, simply login to your dropship account at wholesale2b account and click on the left menu USA SUPPLIERS.